Nayanthara's father in Thalapathy 63 revealed! Viral: The latest Tik Tok song is here! Exciting update on Vishal's next film! "Ajith said we will work together" - Top Music director! New Video song from 96 remake is here! New video song from Nayanthara’s Airaa is out! Breaking: Karthik Subbaraj's masterpiece to be remade - title and details here! Lead pair of the remake of this popular Telugu film finalised! 90's kids childhood is back - Godzilla movie teaser! “It is like R.K.Nagar only” - Radha Ravi reacts to Vishal’s tweet! High on Horror: Kanchana 3 official trailer is here! A tamil film named after this popular game! Stunt goes the wrong way - Vishal Severely injured! Super Exciting Update on Dhanush’s next! "Panniduvom , Panniduvom!" - Rajinikanth replies with swag! First-time: No hero for Tammanah, but all set to entertain with Yogi Babu & Co! Oviya's romantic song from Kanchana 3 is out now! 31-year old Casting director passes away! "Being with Ajith sir, I feel like..." - Nerkonda Paarvai star! Here is the Ding Dong Promo from Super Deluxe! It's a hat-trick for Thala Ajith! Breaking: Release date of Ajith's Nerkonda Paarvai officially announced! Hot: DD debuts in a Telugu Romantic film. Who is the hero? Shocking: National Award winning lyricist is surprised to find his name added! Petta Paraak! - Superstar Rajinikanth visits Chepauk Stadium for CSK-RCB match! Samantha's upcoming film release postponed? Official statement here! Liplock with Vijay Deverakonda controversy - Rashmika Mandanna's statement here! Why did Suriya produce Uriyadi 2? “Uriyadi 2 will not entertain you” - Suriya reveals! A Bollywood heroine for Vijay’s biopic on Jayalalithaa! Super update on Suriya’s NGK release! Uriyadi 2: Power packed teaser is here! 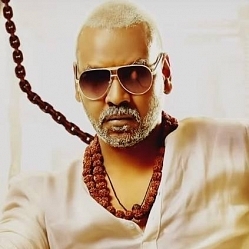 First single from Kanchana 3 is out now! Hot: Suriya’s next to release earlier than expected! Wow: Action King to play the villain once again! 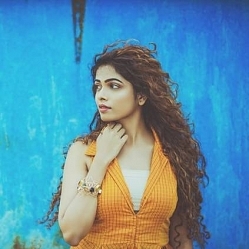 Just In: This latest sensation to be STR's heroine! Ajith and Vijay’s yesteryear heroine to make a comeback! Breaking: Popular television actress to debut in big screen! Super update on this superhit horror film director's next! It is a multi-starrer after Saamy 2! A Big Bollywood addition to Thalapathy 63 - Is he the villain? Harish Kalyan reacts to a fan who posted pirated screenshots of his new film! Official Trailer of Narendra Modi Biopic starring Ajith's villain! Pariyerum Perumal official remake - interesting details inside! Official making video of GV Prakash’s Kuppathu Raja is here! Massive: Sivakarthikeyan and Anirudh's next with this youthful director! "Number plates are for Numbers" - Vijay's responsible post for his Rowdy fans! Catch the trailer of Mohanlal's political thriller 'Lucifer' here! Teaser of Oscar Award Winner's first film as actor is out! Nayanthara's Airaa official trailer video is here! Popular actress involved in accident - Pedestrian injured! Gopi Sudhakar’s IPL Parithabangal - Funny video! Anirudh's Kannamma song - full video here! Parithabangal duo Gopi and Sudhakar’s feature film is here - Interesting details inside! Wow: Mahesh Babu’s daughter’s cute performance for this Baahubali song! 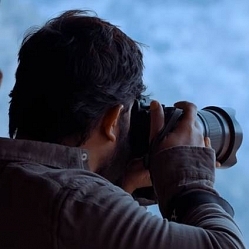 Vijay Sethupathi took 80+ takes, Ramya Krishnan took 35+ takes, how many did Samantha take? "Aahaa nu sonna!" - Samantha recreates Super Deluxe Trailer moment! Verithanam: STR's new look is here! Simbu's next film dropped? Official statement here! Thalapathy Vijay's surprise after Sarkar Audio launch! Trailer of next political thriller is here! Producer files case on PVR, INOX and other multiplexes! Vijay Antony to continue his favourite trend? Govind Vasantha's next fiery song is here! Sivakarthikeyan announces title of his next in Vijay Sethupathi style! Official teaser of Arulnithi and Shraddha Srinath's next! Now, you can suggest a title for Rajamouli's next epic! Makkal Selvan turns writer for this popular star's next! Super exciting update on Arun Vijay’s next biggie with Prabhas! Popular Indian cricketer meets Vijay Sethupathi! "Vaa Thalaivaa! This is the right time" - Popular director wants Ajith to join Politics! Official Teaser of Vijay Deverakonda's next! Vishal's romantic tweet after engagement! After Vijay, Nayanthara’s Thalapathy 63 video goes viral! GV Prakash opens up about controversy with Dhanush! Semma surprise in Suriya 38 - GVP reveals! Director slams Priya Varrier for the flop! Release date of Suriya’s next is here! New promo video from Nayanthara's Airaa! Will Arya and Sayyeshaa be paired for this upcoming film ? Petta deleted video song | Ramarajan spoof! Exclusive: Yours Shamefully director's next is a biggie! Pithamagan star makes a comeback in this film! "Mind blown, so much to celebrate!" - Anurag Kashyap's review of Super Deluxe! Official: Keerthy's Hindi film is about a sports legend. “Women are not dependant on men” - Harish Kalyan opens up! Wow - Star Bollywood actress is the heroine of Rajamouli's RRR - Official statement! Bigg Boss Julie involved in rumoured boyfriend's arrest controversy? - Official statement here! New song from Iruttu Araiyil Morattu Kuththu director's next adult film! Sivakarthikeyan reunites with his short film team! Sneak peek video of Harish Kalyan's next film! High on Love: Nick and Priyanka celebrate success in grand style! Breaking: Heroine of Sivakarthikeyan - Sun Pictures film revealed? Who is Keerthy Suresh’s hero in her Bollywood debut? Mass: Sivakarthikeyan's next film title here! 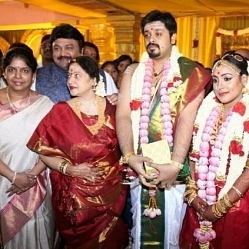 The Celebrity Wedding spree: Vishal’s engagement date is fixed! Theri Baby - Official remake of Theri is here! "Arav was tossed by an elephant!" Official Teaser video of upcoming period film Kalank is here! Exciting Update on Vijay’s Thalapathy 63! New video song from Harish Kalyan's next! Cuteness overload: Video of this star actress' son imitating Baahubali Prabhas goes viral! Chiyaan Vikram’s villain in Vijay Antony’s next! Super update on Ajith's Nerkonda Paarvai Shoot! Romantic song from Samantha's first film with Naga Chaitanya after marriage! Suriya and Shah Rukh Khan join Madhavan's next! Arya and Sayyeshaa shake their leg for ‘Rowdy Baby’ - Viral Video! This Youtube star to play a crucial role in Dhruv Vikram’s Adithya Varma! Vishnu Vishal's father becomes a Police DGP now! 6850 episodes, 3430 hours, only actor to do this record! Check out. Rajinikanth’s breaking statement on the upcoming state elections! 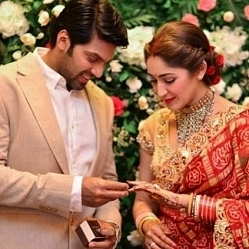 “Forever and Ever” - Arya and Sayyeshaa get hitched in style! Sivakarthikeyan finalizes the music director for his next! Red hot! - Kamal’s MNM gets a new symbol for the elections! Official: After Anirudh, another 'Petta' addition to Rajini's next with Murugadoss! Huge: After Vijay and Rajini, it's Sivakarthikeyan for Sun Pictures! Zee Tamil bags the satellite rights of this upcoming film! New video song from RJ Balaji's LKG! New promo video from Tamannaah's latest film! Thalapathy Vijay’s connect in upcoming elections! First look of this film for Morattu singles! 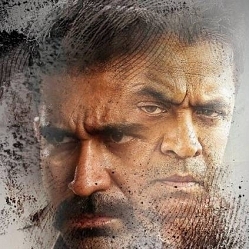 Exciting update on Vikram’s Kadaram Kondan audio! Daily Wage worker makes a film and wins top award! Thalapathy 63 shoot in college excites fans, video goes viral! Thuppakki Villain’s next - Official Trailer! Thalapathy 63 actor's next film sneak peek! Back to Back releases for GV Prakash this summer! Killer first look of Action King’s next - Dashing poster is here! Jayam Ravi's next film with Selvaraghavan? - Clarification here! Trailer of X-Men: Dark Phoenix is here! Arun Vijay's latest video song is here! Hilarious: RJ Balaji's latest phone call video! "If you clean the temple, wishes come true" - Viral video of this popular star! Wow: Suriya's new look in NGK revealed! 'Sarkar' star's charitable gesture on her birthday! Popular actor joins this leading party ahead of Elections! 'Makkal Selvan' is Vijay Sethupathi, know who is Makkal Selvi? Virushka had used fake names - Viral revelation from the star! Hot: "Thadi Balaji calls Policeman a black sheep!" This director's emotional statement about Nerkonda Paarvai! Telugu Superstar's film dropped - reason here! 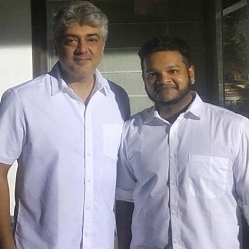 Official: Title and first look of Thala 59 here! Breaking: Details on Simbu's next film is here! Trailer of this popular Tamil movie remake is here! Sid Sriram and Govind Vasantha's magical song from Suriya's next! Vijay, Atlee, Keerthy Suresh and Varalaxmi together! Oviya's 'A' film new trailer video! "Love, Break Up,...?" Romantic teaser of July Kaatril is here! LKG success party - Special surprise for the director! Super Update on Suriya's next with Irudhi Suttru director! Vijay Antony's latest Avatar: Sports this look for the first time! New promo video from RJ Balaji's LKG! Hot: New promo video from this upcoming biggie! Super secret from Super Deluxe revealed! Super update on Makkal Selvan’s next! Thalapathy's 'Yohan' like film for STR? Harish Kalyan reveals! Simbu or Dhanush - Who is the best co-star? Actress reveals! After ‘Chinna Machan’, another Chartbuster on the cards? Thalapathy as Iron Man - Who is Thala? Breaking: Title of Karthi's next film with this promising director revealed! Dhanush's next big multistarrer film dropped? - Official statement here! Arun Vijay’s emotional reaction after Thadam FDFS | Watch Video! Atrocious behaviour by fans - Popular Theatre management’s angry decision! Breaking: Heroine of Rajinikanth’s next with Murugadoss revealed!